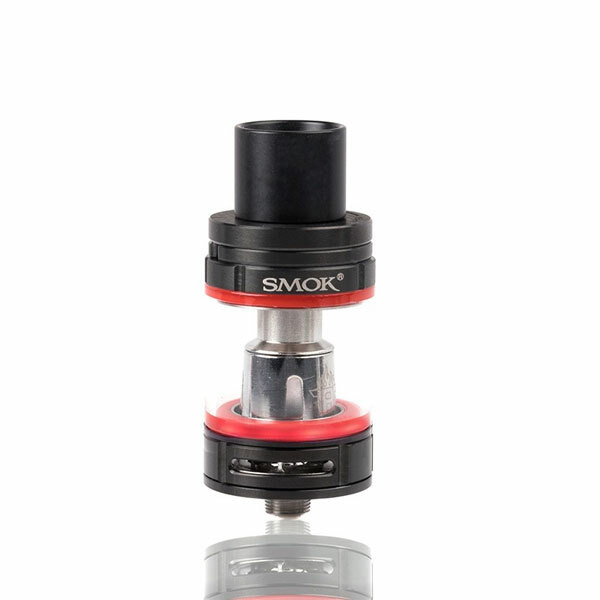 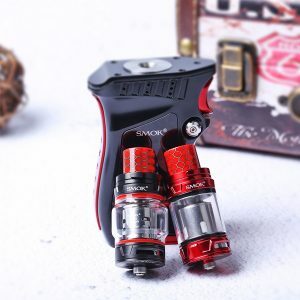 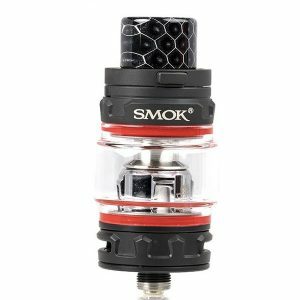 The SMOK TFV8 Big Baby Light Edition presents a modern update to the beloved TFV8 Big Baby Tank, integrating a futuristic LED Light mechanism when fired upon while retaining the top-of-the-class features the original has known for. 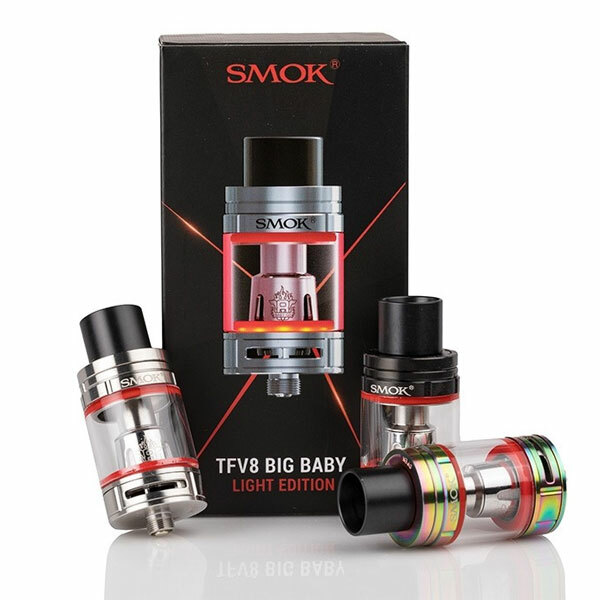 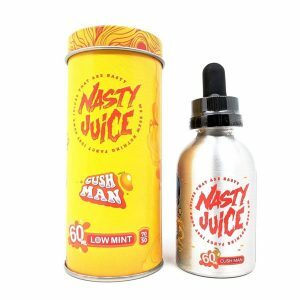 Maintaining the original chassis of the original TFV8 Big Baby, the Light Edition measures 24.5mm in diameter with a maximum e-liquid capacity of 5 milliliters accessed via the signature hinge-and-lock system. 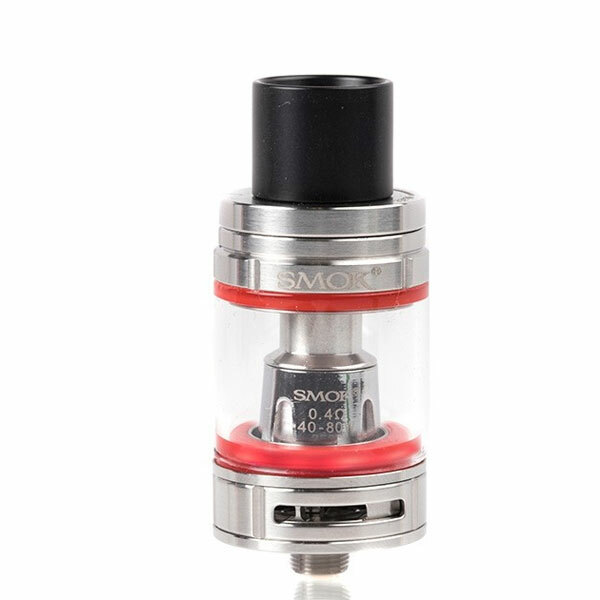 An optional Bulb Pyrex Glass is also introduced with the TFV8 Big Baby Light Edition, enlarging the maximum capacity to 7mL for a more long lasting range (Bulb Glass sold separately). 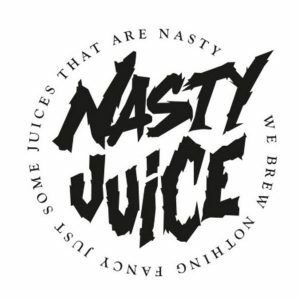 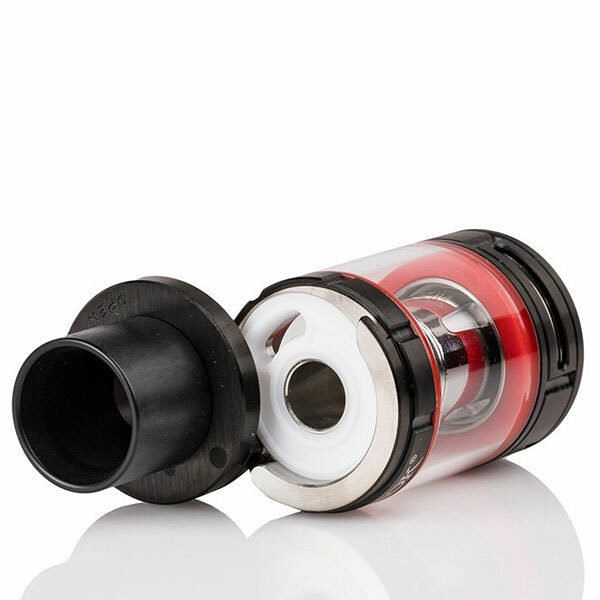 The TFV8 Big Baby Light Edition provides a phenomenal offerings between flavor experience to cloud-chasing performance with the utilization of the Baby Turbo Engines coil family. 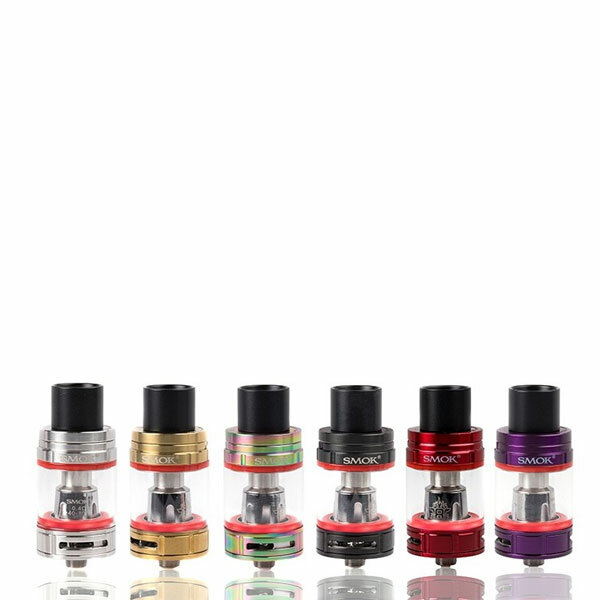 Each kit comes with three different types of coils: 0.4ohm V8 Baby-Q2 Dual Core, 0.15ohm V8 Baby-X4, and a 0.15ohm V8 Baby-T8. 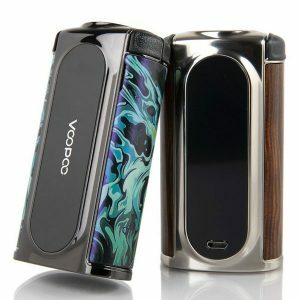 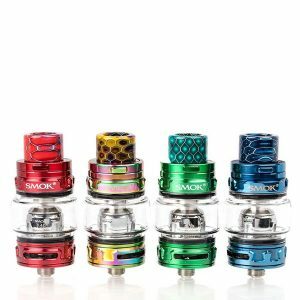 Furthermore, each TFV8 Big Baby Light Edition includes six pairs of colorful O-Rings that works simultaneously with the new LED Light mechanism when the tank is activated. 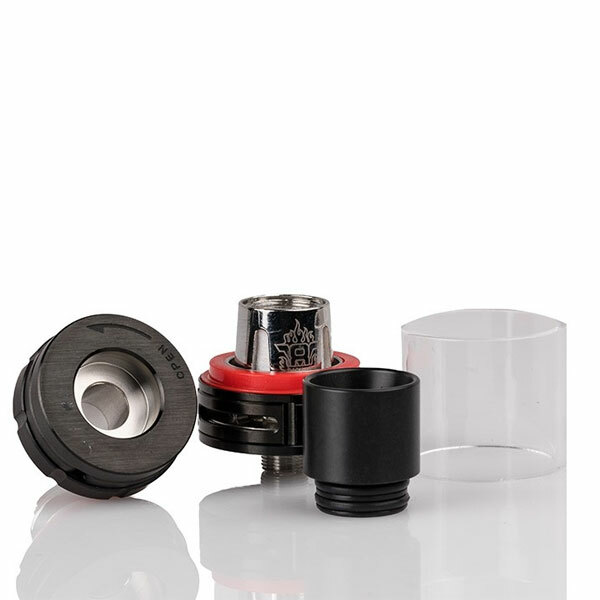 Internal airflow is immense for its structure, integrating wider dual airslots around the base of the structure for adept airflow efficiency. 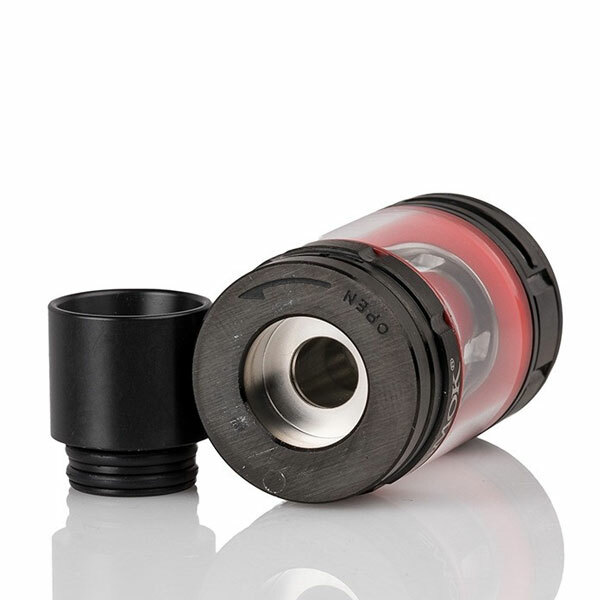 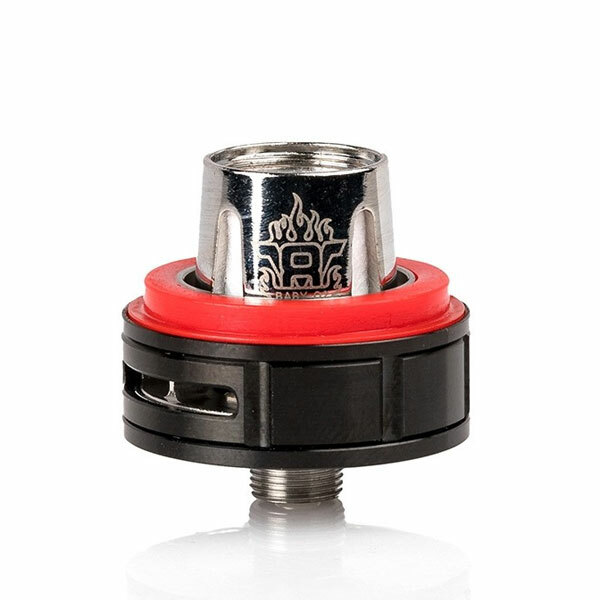 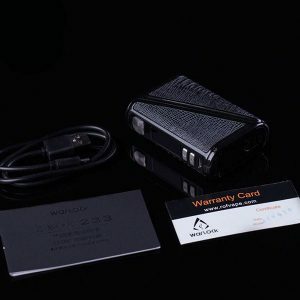 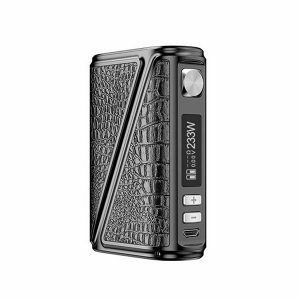 The included Delrin widebore drip tip maintains high level of heat dissipation for use throughout the day, completing the performance-orientated platform. 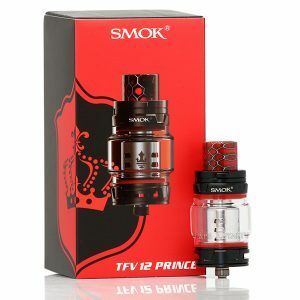 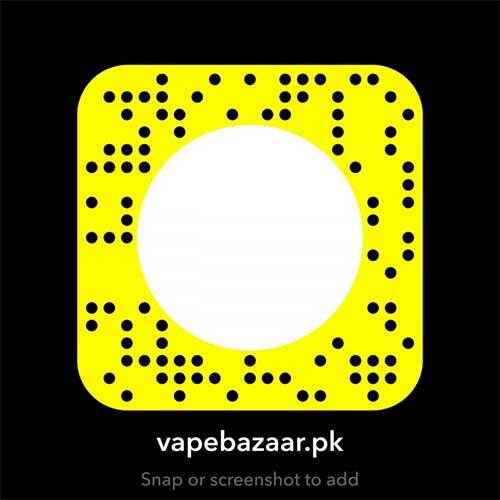 Built upon a critically-acclaimed platform from one of the most respected manufacturing house in the industry, the TFV8 Big Baby Tank by SMOKTech is an essential addition for compact and every-carry atomizer system.